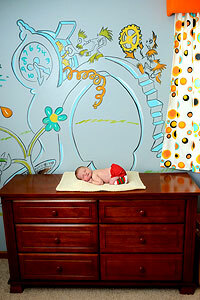 Jen is a talented artist who sees faces as a blank canvas. From elaborate full face artwork at birthday parties to intricate face doodles that keep the line moving at larger festivals Jen will consistantly wow your party guests. 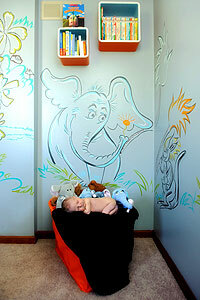 If you think her face painting is good, check out a baby's nursery that she painted!